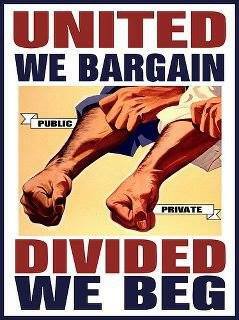 For a Socialist New Year! 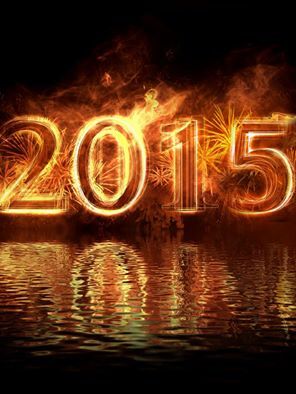 We wish everyone a happy, healthy, peaceful, tolerant and socialist New Year. In particular, we wish everyone working, caring or volunteering – whether emergency or rescue workers like nurses, paramedics, firefighters, coastguards or police, other public sector, transport, rail or road maintenance, hostel or shelter workers, and any shift workers, especially those working in fast food outlets, pubs, clubs and the hospitality industry – a quiet and straightforward time as they work on to keep the rest of us safe, well and warm. As we look forward to 2015, it’s clear that we must rid ourselves of the Coalition, elect a Labour government and then hold Andy Burnham, Ed Miliband and others to their pledges if we are to save our NHS and Fire Service, stop Osborne taking all public services back to the 1930s and ensure that Britain retains a social security system worthy of the name. Attend the Labour Left Platform to discuss the key policies the Left will demand from a Labour government in 2015. 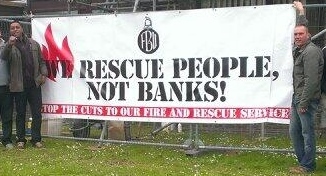 Hastings firefighters say Save Our Fire Service! Inspiration may come early this year if Syriza wins the upcoming elections in Greece and applies its socialist, anti-austerity programme of “modest common sense” without flinching. This will require international support but, like the possible election of Podemos in Spain, would then provide an alternative for other European countries, including Britain, to follow. 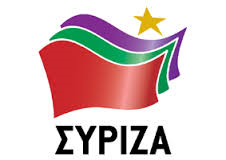 We must do all we can to support the election of Syriza (and Podemos) as this could spell the beginning of the end for European austerity.